We are pleased and honored when ELTI's work is shared in local and international publications. We also enjoy sharing exciting news about ELTI's Training and Leadership Programs. After the ELTI course, Evi published a book on her experiences restoring the forest in the park. Click here to view the full text. Learn more about our new online certificate program "Tropical Forest Landscapes: Conservation, Restoration & Sustainable Use" from Dr. Indy Burke (Yale F&ES dean), Dr. Eva Garen (ELTI director) and Gillian Bloomfield (program coordinator and mentor). This unique interdisciplinary program can help you enhance your knowledge and skills to manage tropical forest landscapes successfully. ELTI is proud to announce the launch of a new online certificate program, in collaboration with the Yale School of Forestry & Environmental Studies, entitled: Tropical Forest Landscapes: Conservation, Restoration and Sustainable Use. This comprehensive and interdisciplinary program is designed for professionals working to address the complex social, ecological and funding aspects of managing tropical forest landscapes. The yearlong program consists of four eight-week online courses, a capstone project and an optional field course in Latin America or Asia. Participants will learn from Yale faculty, ELTI team members and a network of international partners. Applications open January 7, 2019. See more details on our website: https://tropicalrestorationcertificate.yale.edu/. Please sign up for our mailing list to receive important program updates. ELTI partners at Visayas State University (VSU) received the Presidential Lingkod Bayan Award for their contribution to forest restoration and the livelihoods of forest-dependent communities. The award was presented on September 27 at Malacañan Palace in Manila for VSU's efforts in Rainforestation as a strategy for watershed restoration. Rainforestation is a community-based approach to native species restoration. In 2016-17, ELTI partnered with the APASPE farmer's association in Panama to lead a series of workshops entitled, "Ecological Restoration Strategies for Cattle Ranching Landscapes of the Azuero." These workshops offered strategies to cattle ranchers to restore forest cover on their farms as a means to improve ecosystem services and increase productivity. 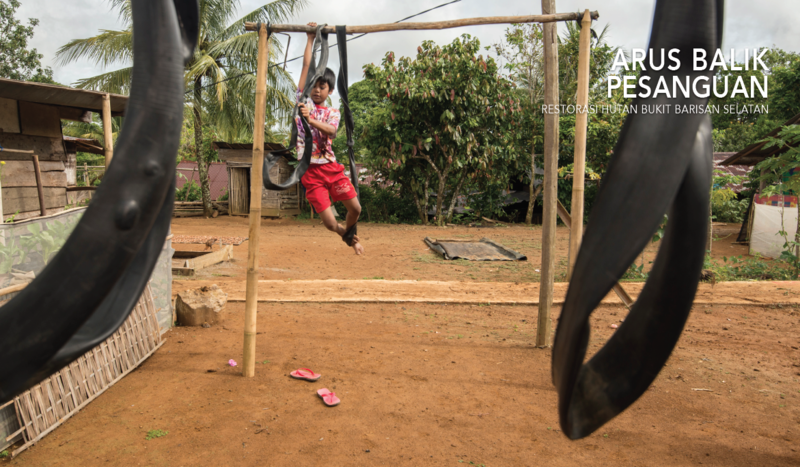 ELTI's partnership with APASPE strengthened the capacity and leadership of local landowners and empowered them to become agents of change in restoring cattle ranching landscapes of the dry tropical forest. Read more about our work with APASPE and the use of silvopastoral systems in a story written by the Global Environment Facility. 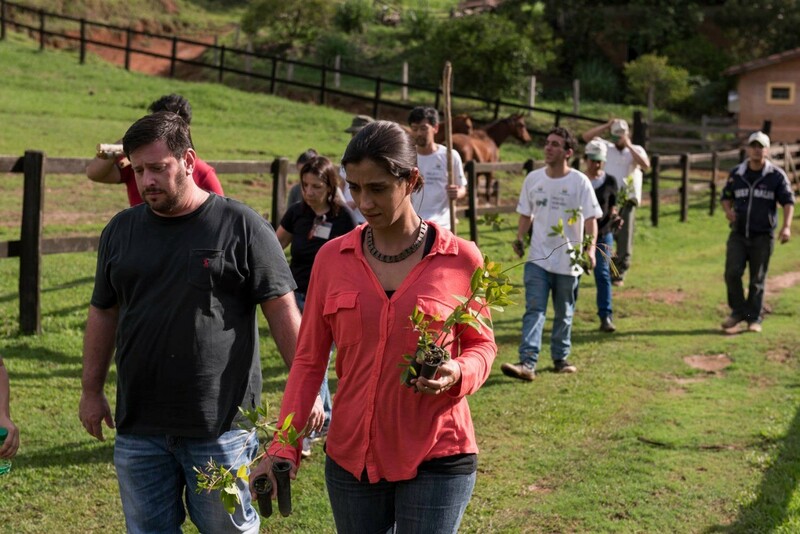 A new field course offered farmers in Brazil a chance to learn how to farm and protect ecosystem services at the same time. Sustainable farming is much needed in the Cantareira watershed system, which supplies water to 7.6 million people living in the metropolitan area of São Paulo, Brazil. Míriam Perilli, ELTI Brazil coordinator, reminds us that the actions of farmers in their own properties in the Cantareira system have the potential to contribute with society. To learn more about the field course and the ELTI/ESCAS-IPÊ partnership, click here to read the full article. Agroecological restoration is an active dialogue that builds on the principles and values of agroecology and ecological restoration to promote healthy food production in revitalized landscapes. This transdisciplinary effort seeks to transform farms and agricultural landscapes for the well-being of rural and urban communities in a renewed relationship with nature. The IV International Course on Agroecological Restoration: Resilience to Climate Change took place on July 23-27, 2018, at El Hatico Nature Reserve and the smallholder community of Bellavista (Valle del Cauca, Colombia). Food was a fundamental part of the curriculum. Each meal served throughout the field course was designed to celebrate ethical food production in rural communities. All ingredients were locally grown, sustainably produced, and in some cases, organic. ELTI alumni from previous Agroecology & Restoration courses (and one trainer) provided fruits, vegetables, wheat, cheese, yogurt, beans and fish from their farms. Meat and milk came from El Hatico’s amazing silvopastoral systems. Other products were purchased directly from farmers. Delicious meals that give meaning to the term agrobiodiversity shared with friends in an open dining room have proved to be the right complement to the lectures and field exercises of our Agroecological Restoration course. ELTI and PARTNERS hosted a webinar series, Reforestation and Climate Change, between March and May of 2018. Speakers and attendees from around the world came together to address the intersection between reforestation and restoration in the tropics with global efforts to mitigate and adapt to climate change. Click on the header to access the recordings of the webinars. A rare, blue-winged pitta (P. moluccensis) was seen for the first time in 111 years in Liptong Woodland, a forest restored in 2006 by ELTI alumnus Rene Vendiola on the island of Negros in the Philippines. ELTI and IUCN started a partnership in 2016 to develop capacity on forest landscape restoration and the Restoration Operations Assessment Methodology (ROAM). Together, we have trained over 290 leaders working in Africa, Asia and Latin America. Read more on our work with IUCN in the August issue of Arborvitae. ELTI and IPÊ – Institute for Ecological Research launched a field course for residents of agrarian reform settlements in the Pontal do Paranapanema, Brazil. In September 2018, we trained 20 small-scale farmers aged 15-69 years old who want to adopt sustainable practices to conserve biodiversity and increase productivity of their properties. ELTI is featured in the spring issue of Canopy, the Yale School of Forestry & Environmental Studies' alumni magazine. See page 29 to read about the ELTI-led student field trip to Panama as part of a seminar on tropical forest restoration. Dr. Arbainsyah ("Insya") will be attending the 55th Annual Meeting of the Association for Tropical Biology and Conservation in Kuching, Sarawak, Malaysia, July 1-5, 2018. He has been accepted to give a presentation entitled, "Capacity-building to promote coal mine site rehabilitation in Kalimantan (Indonesian-Borneo)." His presentation will occur on Wednesday, July 4, as part of a series of talks on Seeding Resilient Forest Landscape Restoration and Its Contribution to Sustainable Development Goals. ELTI Fellow, Elham Shabahat, reports on how climate change is reshaping relations between parks, people and the mountain gorillas of Rwanda. A photo of an intensive silvopastoral system in Colombia from ELTI’s Colombia Coordinator and partner organization (Zoraida Calle; CIPAV - Colombia’s Center for Research on Sustainable Agriculture Production Systems) was featured in The Washington Post article highlighting the potential of silvopastoral systems for climate change adaptation and mitigation. CIPAV designs, evaluates and promotes intensive silvopastoral systems that are able to boost per-hectare milk and meat production, while sequestering carbon and enhancing biodiversity and ecosystem services. Silvopastoral systems can be used to rehabilitate lands degraded by extensive ranching and agriculture. At the same time, their efficiency allows farmers to release fragile and marginal lands for ecological restoration. We cordially invite you to attend a three-part webinar series entitled, "Tropical Reforestation and Climate Change." The series is free of charge and is offered in partnership between the People and Reforestation in the Tropics Research Coordination Network (PARTNERS), ELTI and international guest speakers. Webinar #3: The Social Aspects of Reforestation for Climate Change: Where, When and How? Each 1.5 hour webinar will feature three speakers and a guided Q&A session from 10:00-11:30 am EDT (GMT-4). The Yale School of Forestry & Environmental Studies recently published an article highlighting ELTI and IUCN’s partnership to deliver online training on forest landscape restoration for 125 professionals from 32 countries in Africa, Asia, and Latin America. The article highlights the history and ongoing partnership between IUCN and ELTI, discusses the collaborative way in which ELTI’s online course approach was blended with IUCN’s Restoration Opportunities Assessment Methodology (ROAM), and presents outcomes realized by participants as a result of the course series. Read the full article here. ELTI partnered with IUCN-NEPAD to offer a blended training course to 30 government officials in Niamey, Niger. The course consisted of a two-week online primer on social, ecological and restoration fundamentals, followed by a four-day in-person training. Participants learned from interactive presentations on key theory, diverse case studies from around the globe, and conversations with their peers. The training supports the government of Niger in implementing its national and sub-national sustainability efforts, as well as working towards the AFR100 and Bonn Challenge goals. At the 2018 International Society of Tropical Foresters (ISTF) conference held at the Yale School of Forestry & Environmental Studies, two members of the ELTI team and one ELTI alumna gave featured talks. Dr. Eva Garen (ELTI director) and Zoraida Calle (ELTI Colombia Coordinator) participated in a plenary panel that addressed scale in socio-ecological complexity. Joining them was Mirjam Kuzee of the International Union for the Conservation of Nature. Their presentation offered diverse perspectives on enhancing the capacity of restoration practitioners worldwide. ELTI alumna Denise Matias, from the Center for Development Research at the University of Bonn, attended the ISTF conference. Loreta Alsa, a member of the Tagbanua community in the Philippines, joined her to present their research on the traditional practice of honey-hunting in the Tagbanua community. Together, they won the 2018 Innovation Prize and received $3,000 to continue their research. Read more about the 2018 ISTF conference and ELTI's involvement in the Yale Daily News. Karin Bucht, ELTI's Program Associate for the Online Training Program, recently represented ELTI at the Global Landscapes Forum in Bonn, Germany. On December 19-20, 2017 the Global Landscapes Forum brought together 1,000 attendees from 103 countries in the World Conference Center in Bonn. In total, 21,610,513 people were reached across social media and fully 51,000 people tuned in live from 114 different countries to connect, learn, share and act around our planet’s greatest climate and development challenges. ELTI was selected by Yale’s Center for Teaching and Learning (CTL) to receive support to develop and deliver a one-year online certificate program at Yale F&ES. The certificate program is based upon ELTI primary training themes and will build upon the existing work of the online program and involve contributions from diverse Yale faculty members and ELTI's international partners. The year-long program will include four online courses, a practical project course and a field experience at an ELTI training site in the tropics. Gillian Bloomfield, Desirée Lopes and Eva Garen have begun working with the F&ES Dean's office on strategic planning for the program. The program will be launched in January 2019. Go to http://environment.yale.edu/online-ed/tropics to sign up for updates on the certificate program. In March 2016, IUCN and the Environmental Leadership and Training Initiative (ELTI) of the Yale School of Forestry and Environmental Studies launched an online course on the Restoration Opportunities Assessment Methodology (ROAM) to enhance the capacity of restoration practitioners across the world. Within a year, the course reached 125 individuals in 30 countries. These are their stories. ELTI staff members will be attending the 7th World Conference on Ecological Restoration, hosted by the Society for Ecological Restoration (SER). The 2017 SER conference is in combination with the Iberoamerican and Caribbean Congress for Ecological Restoration and the Brazilian Ecological Restoration Conference. ELTI will be hosting a welcome reception for ELTI Alumni and Partners. If you will be at the conference and interested in attending, please contact Gillian Bloomfield. - A pre-conference training course and symposium by the International Union for Conservation of Nature (IUCN) on the Restoration Opportunities Assessment Methodology (ROAM). ELTI will be participating in both IUCN's course and symposium. Please let us know if you will be in attendance. We would love to connect! In order to scale up the use of silvopastoral systems and their integration with ecological restoration practices, Colombia has been implementing the Mainstreaming Biodiversity in Sustainable Cattle Ranching Project in five different regions since 2012. Among the project’s legacies is a network of well-established pilot farms whose owners are committed to providing farmer-to-farmer training in the years to come. Having redefined their relationship with nature, these pilot farmers will help promote the kind of cultural change needed to achieve landscape transformation in Colombia. But cultural change is a long-term process that requires the transfer of both knowledge and values across generations. Designed to foster this cross-generational relay, a three-day Silvopastoral Heirs Workshop at El Hatico brought together young people from 19 pilot farms in the project’s five regions, the upcoming generation of silvopastoral farmers. Individual presentations, lectures, field visits and folk songs were alternated with group exercises in which children, teens and adults worked collaboratively. The importance of family values, pride in a rural identity, and the need to heal the environment emerged as common threads throughout the discussions. A final definition of Silvopastoral Heirs (SH), their guiding values and principles, and their mission* was approved by consensus, and the Colombian Network of Silvopastoral Heirs was born. This workshop was sponsored by the Center for Research on Sustainable Agricultural Production Systems (CIPAV), Colombian Cattle Ranching Federation (FEDEGAN), El Hatico Nature Reserve and The Environmental Leadership and Training Initiative (ELTI). The Environmental Leadership & Training Initiative (ELTI) has received a $4.9 million grant from Arcadia, a charitable fund of Peter Baldwin and Lisbet Rausing, to continue its work. The new grant represents Arcadia’s third gift in support of ELTI, with Arcadia support now reaching $15.3 million since the program’s inception in 2006. Through field-based training, leadership support, innovative online instruction, and open access information, ELTI has reached more than 5,000 individuals — including landholders and farmers, practitioners and policymakers — across tropical Latin America and Southeast Asia. With this new support from Arcadia, ELTI will strengthen its training activities and materials within the five focal field training sites (Panama, Colombia, Brazil, Philippines and Indonesia); integrate on-site training with an increasing number of online training courses; increase support and networking opportunities for alumni to strengthen their local impact; and implement a monitoring and evaluation strategy. The First Regional Training on Forest Genetic Resources was held in Beijing and Shandong, China from October 28 - November 2, 2016, and was organized by Bioversity International, the Asia Pacific Forest Genetic Resources Programme, FAO, the Chinese Academy of Forestry, and the China Happy Ecology Industrial Co. Although forest restoration has been globally recognized as an important strategy to address the threats to biodiversity, the decline in ecosystem services, and the impacts of climate change, the relevance of the genetic aspects of restoration are often overlooked. The training provided an introduction to the principles of genetic conservation of tree species and featured the Forest Genetic Resources Training Guide -- a flexible, easy to follow tool developed by Bioversity International for practitioners and trainers alike to learn about forest genetic resources issues. The guide provides case studies, teacher notes, and audiovisuals that demonstrate the value of forest genetic resources for responsible decision-making in forest and natural resource management. The guide is accessible online at http://forest-genetic-resources-training-guide.bioversityinternational.org. Hazel Consunji, the Philippines Program Coordinator, shared her thoughts about the relevance of this training course to ELTI's work in an article by Riina Jalonen of Bioversity International, entitled "Seeds of change: training restoration practitioners to solve genetic problems". Gillian Bloomfield, ELTI Online Training Program Coordinator, collaborated with colleagues from the network People and Reforestation in the Tropics: a Network for Education, Research and Synthesis (PARTNERS - http://partners-rcn.org/) to publish an article entitled "Stakeholders and tropical reforestation: challenges, trade-offs, and strategies in dynamic environments". Jacob L. Slusser, Panama Coordinator for the Neotropics Training Program, was invited by ELTI Alumni Frank Cardoza (Agroecology and Forest Restoration Course – Colombia, July 2016) to present on ELTI’s native tree species nursery guide, at an event entitled, “Capacity building workshop for the establishment of nurseries with native tree species adapted to agroecological farm conditions.” The course was facilitated by the Cacao Alliance of El Salvador, El Salvador Ministry of the Environment and Natural Resources, German Society for International Cooperation (GIZ), with the objective to strengthen the capacities of both producers and ministry officials on the establishment of native tree species nurseries to produce trees to be used in the Cacao Alliance project regions. ELTI also donated thirty (30) copies of the native species nursery guide to be distributed to course participants. ELTI staff members - Eva Garen (Director), Hazel Consunji (Philippines Country Coordinator) and Karin Bucht (Online Program Associate) – attended the IUCN World Conservation Congress in Honolulu, Hawaii, during which they presented a poster on ELTI’s work and participated in a session to showcase a new partnership between ELTI and IUCN for online training related to Forest Landscape Restoration in the tropics.